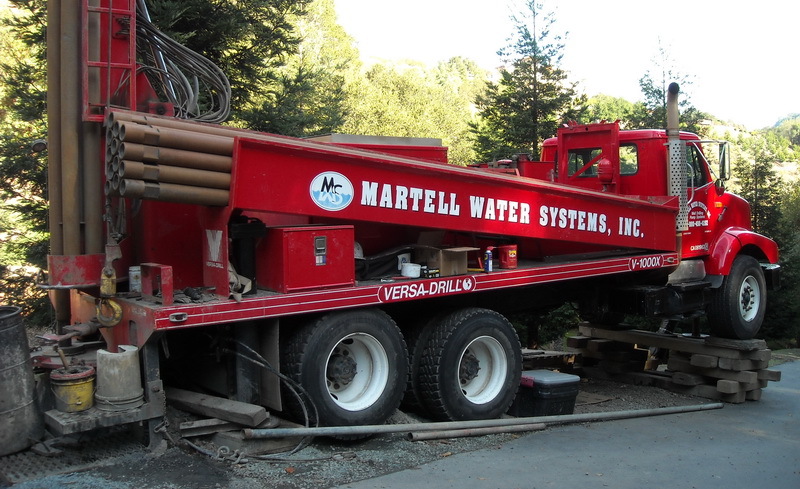 Martell Water Systems, Inc. has been in business since 1946, drilling water wells and installing pump systems throughout California. Our company employs an exemplary team of well drillers and pump technicians who are highly skilled and precise. Each technician is committed to being an expert in their field; devoted to staying informed about the latest technology by attending regular continuing education seminars. At Martell Water Systems, Inc. we strive to be the finest in our field, using only the highest quality products and equipment. We extensively research and use only cutting-edge well and pump system technology to design customized systems to meet the individual needs of each client. Our team is dedicated to our client's satisfaction. Our fields of expertise include: Well Drilling and Destruction, Geothermal Vertical Loops, Pump System Design and Installation, Solar Pump Systems, Well and Pump Inspections, Pump System Repairs, Flow Testing, Storage Tank Installation and Cleaning. Water truck deliveries now available!